The United States offers a large amount of visas to individuals and their families seeking temporary admission to the United States for work. Each visa category has its own set of requirements for application. 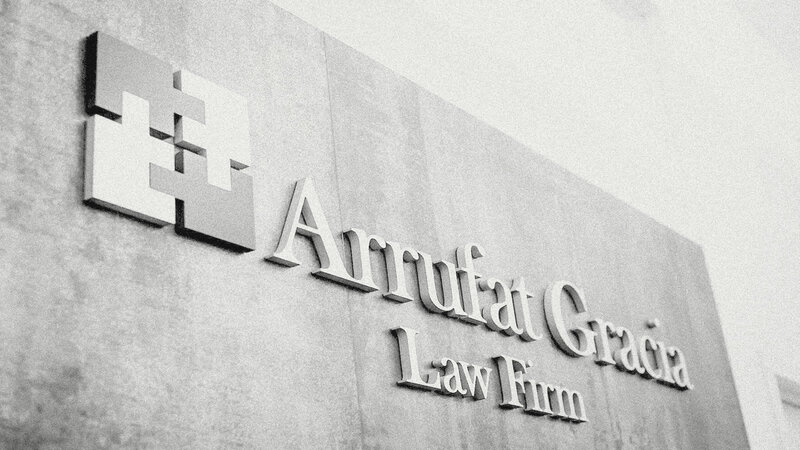 Arrufat Gracia serves a range of clients, from publicly traded companies to individuals and their families in the New York area and beyond, helping with the non-immigrant visa application process. Contact us if you need help with a non-immigrant visa issue. The H-1B is available to workers in occupations that require specialized knowledge. To qualify, the employee needs a bachelor’s degree or its equivalent in on-the-job experience. Among other requirements, it requires the applicant to first have a job offer from a U.S. employer for work to be performed in the U.S. We help Businesses and Academic Institutions who are seeking this work status for their prospective foreign workers. We also assist transferring this Visa to new employers. For more information about the H-1B visa please click here . The O-1 visa status is specifically designed for individuals of extraordinary ability in sciences, education, business, arts or athletics and individuals of extraordinary achievement in the motion picture and television industries who have received sustained national or international acclaim. For those workers who normally use agents to arrange short time employment on their behalf with numerous employers such as musicians, theater directors or dancers, the agent can file the petition on behalf of the foreign worker. A particular job offer is not required but the contract with the agent and a complete itinerary of the US events must be submitted with the petition. The O-1 visa petition must contain a written advisory opinion from the appropriate union describing the worker’s abilities and achievements in his field. If said field does not have a union, the petition must include a letter of a person with expertise in the area of the worker’s ability. The L-1 Visa is designed to cover the needs of foreign companies with a subsidiary, affiliate or branch in the United States that need to transfer their international managerial, executive and specialized employees to the United States. L-1A visas are designed for executives or managers of multinational corporations who are transferred to work in one of the US corporations. The L-1A visa holders must have been employed in an executive or managerial capacity with the foreign company in an overseas location for at least one continuous year out of the past three years. L-1B category covers specialized knowledge personnel. For example, a specialized knowledge personnel would be an individual who possesses unique or advanced knowledge about a company’s product and who travels to the U.S. to impart his or her specialized knowledge to new U.S. employees. In addition, the US Government has provided a “L-1 Blanket Petition Program.” Under this program, a multinational corporation group that meets certain requirements in sales figures, number of employees or past L-1 visas requested will be granted a general authorization from US Citizenship and Immigration Services to transfer certain number of managerial, executive and professional employees to the United States with limited paperwork and reduced costs. We assist businesses from publicly traded companies to medium sized companies that want to start their business in the US to transfer their valued employees to the US. Based on bilateral treaties signed between the US and over 80 countries, the nationals of said countries who come to the US to carry out substantial trade principally between the US and the treaty country, or to develop and direct the operations of an enterprise in which they have invested, or is in the process of investing a substantial amount of capital may qualify for an E visa. The E-1 visa is the treaty trader visa. It is the visa for those treaty nationals who carry out substantial trade of tangible goods or services principal between the US and the treaty country. The trade to the US must be continuous and it must represent at least 50% of the international trade of the treaty trader. The E-2 visa is the treaty investor visa. This is the visa for those treaty nationals who have invested or planned to invest a substantial amount of capital in a US venture. The investment must be at risk and it cannot be a passive investment. For instance, it cannot be investment in real estate. The amount of the investment depends on the business it will be made. Please contact us to determine if you can be benefit from a bilateral commerce and navigation treaty between your country of origin and the US. Those who enter the United States with the J-1 or J-2 visa are called Exchange Visitors. The J-1 Exchange Visitor visa may be used by those coming to the United States to conduct a practical training, study, teach, or conduct research. The purpose of the Exchange Visitor Program is to provide foreign nationals with opportunities to participate in educational and cultural programs in the United States and return home to share their experiences, and to encourage Americans to participate in educational and cultural programs in other countries. It does not require a one-to-one reciprocal exchange. The J-1 visa is obtained by presenting to a U.S. Embassy or consulate a Form DS-2019 issued by the Exchange Visitor Sponsor, which may be a university, government agency, or other organizations. It is sometimes the better suited visa for a foreign trainee. We assist our clients in selecting the proper Exchange Visitor Sponsor and processing the application. The TN program is the immigration component of The North American Free Trade Agreement (NAFTA), which enables Mexican or Canadian citizens to be admitted to the United States to engage in “business activities at a professional level” in certain occupations, for one or more specific employers (provided that each employer applies for a separate TN visa). TN status may be granted for as long as the employment offer specifies, up to one year, and this status may be extended indefinitely in one-year increments. The TN category is similar to the H-1B. If you need assistance with a non-immigrant visa petition, contact an experienced immigration attorney. You may contact us by telephone, e-mail, and fax.